The used Falcon rocket blasted off before dawn, hauling nearly 6,000 pounds of cargo, including the first robot with artificial intelligence bound for space. A SpaceX rocket that flew just two months ago with a NASA satellite roared back into action Friday, launching fresh space supplies for the International Space Station. The used Falcon rocket blasted off before dawn, hauling nearly 6,000 pounds of cargo, including the first robot with artificial intelligence bound for space, genetically identical mice, or mousetronauts, and super-caffeinated coffee for the crew of the International Space Station. The shipment — packed into a Dragon capsule that's also recycled — should reach the station Monday. 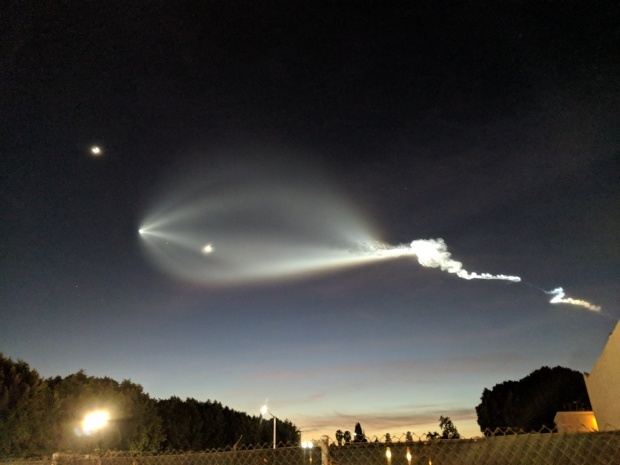 It was an especially gorgeous launch, delighting spectators as the rocket plume expanded in the clear night sky like a giant halo. This marked SpaceX's fastest reflight of a booster. The same first-stage booster launched the planet-hunting Tess satellite in April. The capsule, meanwhile, flew in 2016. 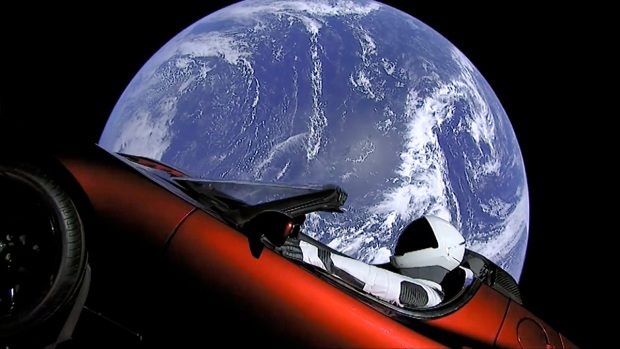 Aiming to lower launch costs by reusing rockets, SpaceX did not retrieve the booster for another flight and, instead, ditched it in the Atlantic. The company is switching to a new and improved line of boosters. The space station and its six inhabitants were sailing 250 miles above the South Pacific when the Falcon 9 took off. The Dragon will deliver 20 brown female mice, half of them genetically identical from one strain or family, and the other half identical from another family. Northwestern University researchers want to study the bacteria in the animals' guts and compare them to their identical sisters on the ground. They did the same with Scott and Mark Kelly, NASA's former identical twin astronauts, during Scott's yearlong space station mission a few years ago. Sixty packets of Death Wish Coffee from New York state also are going up. A former astronaut helped arrange the java delivery for the space station's Serena Aunon-Chancellor, a coffee lover. And then there's the AI robot Cimon, pronounced Simon, intended for German astronaut Alexander Gerst. Slightly bigger than a basketball, the round, 3D-printed German Space Agency robot will assist Gerst with science experiments. IBM provided the AI brain. Cimon will remain indefinitely on the orbiting lab, continually getting updated via IBM's Cloud. Cimon stands for Crew Interactive Mobile Companion. The name also refers to the genius doctor in the science fiction tale "Captain Future."